At long last, my husband and I had booked a weekend away without our 2-year-old son. Given that these opportunities are rare, we wanted to experience something totally different, something which we wouldn’t easily be able to do with the little one in tow – so we settled on Iceland. I have always been a warm-weather person, and to be honest, the idea of visiting an Arctic country sent chills right through me – especially since we were planning to go in March. However, the cold, it would seem, is all part of the adventure. And an adventure it certainly was. 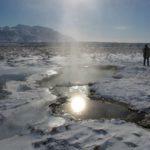 Our weekend to Reykjavik also turned out to be one of the most memorable holidays of my life. We didn’t spend much time in the capital itself, mainly because we didn’t have long enough (we could have easily spent weeks, if not months, exploring the country). Our first outing happened shortly after landing, as we went on a tour to see the Northern Lights. We were lucky and got to see them – and it was well worth braving the -10 degrees and fierce winds to witness the swirls of light dancing across the clear night sky. 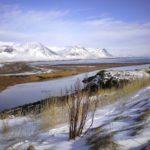 The next day, we took a full day trip out to the Snaefellesnes peninsula, on the western coast. The sun was shining and the sky a perfect blue. We hiked across rugged coastline and snow-capped peaks and the highlight for me was bathing in a hot spring, surrounded by glorious mountain scenery and not another soul in sight. The outdoor temperature was well below freezing, but the water was a very welcome +38 degrees. The memory of bathing in that bubbling, inviting water while sipping wine – and surrounded by sunshine and snow – will stay with me a long time. On our third and final day, we explored Reykjavik: a pretty and friendly city with some great restaurants and welcoming open spaces. 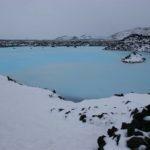 We then headed out to the infamous Blue Lagoon thermal pool, and enjoyed another outdoor dip. Amazing scenery, a fascinating history and some of the friendliest people on the planet are only three good reasons why Iceland is a fabulous destination. 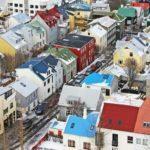 Here are some of my top tips for making the most of your weekend break in Reykjavik. Book your own trip. There are direct flights to Reykjavik from the UK with both Icelandair and Iceland Express – and it only takes 3 hours. If you book far enough in advance, you usually bag a bargain. 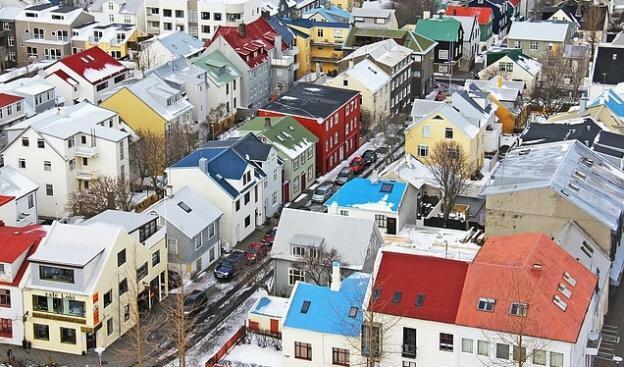 Reykjavik hotels are also offering great deals, particularly out of the summer season, so be sure to shop around – as prices do seem to vary wildly between suppliers. Book excursions in advance. The most popular trips do get heavily booked up, even in the winter. I recommend doing some research on-line and going with a smaller tour operator who uses jeeps or minibuses, rather than coaches, as you’ll get a much more personal and insightful experience that way. Save up! Yes, unfortunately, this is not a cheap country, even after the recent economic crisis. Beer and food is probably on a par with most western European countries; hotels are probably a little cheaper (if you shop around – I recommend using Hotel Fairy’s price comparison tool), but the real sting seems to be transport – a taxi back to the airport cost us £100 (you can save on this by taking the airport bus but we had an early morning flight so time was short). Take lots of warm clothes. This is particularly important for winter visits. Invest in (or borrow) a good waterproof jacket and trousers, and be sure to pack thermals, a hat, gloves and plenty of layers. Be prepared for some unusual options on the menu. Local specialties include horse, puffin, whale and rotten shark! However, as with all cosmopolitan cities, there are plenty of international restaurants in Reykjavik, so you certainly won’t go hungry!